Mad Max: Fury Road has been the surprise hit of the sci-fi summer! And in this episode, Ben is joined by the surprise first guest of the summer! After guest hosting on the Geekually Yoked podcast to talk about the movie Spirited Away, Ben mentioned to Rachel that he was planning to do an episode about mad Max: Fury Road and a second impromptu podcast discussion was engaged! 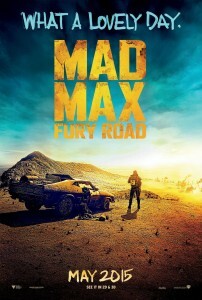 One Response to "Mad Max: Fury Road (Summer Movie Series) — S&A153"